Larry Nance Jr. has been a great addition for the Cleveland Cavaliers, and it seems the veteran big is very happy to be a part of the team. 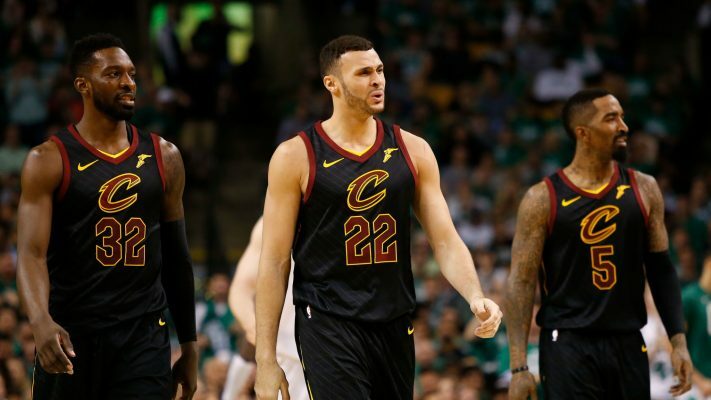 Recently, Nance spoke about how since coming to Cleveland last season from the Los Angeles Lakers, he has felt that he has more of a voice in the Cavs’ locker room. 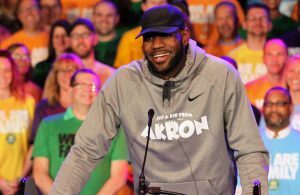 He also mentioned that thanks to the fact that the Cavs signed him to a four-year, $45 million contract at the onset of the 2018-19 season, he feels a lot more involved in franchise. It’s certainly an interesting thing to note, especially because it is not as though the Lakers had a strong veteran presence in the locker room during Nance’s time with the team after Kobe Bryant retired in 2016. Last season, the Cavs’ locker room was understandably led by four-time MVP LeBron James. Now that James is gone, however, players like Nance have had to fill the void. While the 2018-19 season was quite the trial for the Cavs early on, the last month has been far more promising. So far this season, Nance has seen an increase in his usage and is currently averaging a career-high 26.1 minutes per game. Along with that increased time on the court, Nance is also enjoying career-highs in most major statistical categories including points (9.1), rebounds (7.9), and assists (3.0) per game. At the moment, it looks like Nance’s contract extension was definitely the right call for the Cavs. Regardless of the past, it is awesome to hear that Nance is invested in both the present and future of the Cavs organization. Hopefully it leads to further personal and team success down the road.